At only $50- per year, membership gives you access to e-mail notifications, invitations to Chapter events such as the Emmy® Nomination Party and the Emmy® Awards Gala, discounted event tickets, and networking opportunities with Emmy® Award-winning professionals. Professional membership is $90- for new members; after graduation, continue saving by maintaining your membership at the professional renewal rate of $65- per year. Join online by by clicking here. For a complete list of rules and categories, click here. To submit an entry form, click here. Material that is produced as part of a class by full-time students, for which school credit is received, is eligible for consideration. The fee is a flat rate of $50- per entry, regardless of the number of students on the entry. All entries must be sponsored by the school and validated by a professor/teacher. No professional services can be used in production. Submissions need not have been aired, but must have been produced under school auspices during the eligibility period of January 1, 2015 through December 31, 2015. The deadline to submit a Student Production Award entry form, upload videos and pay is Monday, February 4, 2019. Students are not considered peer professionals and as such, their regional student productions are not eligible for Emmy® award recognition. If material is produced as part of a class, for which school credit is received, they are considered a student. If they are paid or working on a project with other “professionals,” and want to enter the Chapter’s Emmy® Award competition, they cannot enter as a student, but instead must pay the appropriate entries fees as an active NATAS member (or non-member). The student is then prohibited from entering subsequent student production categories with other classmates. Student award recipients from any NATAS Chapters’ high school or college competitions may not use the Emmy® name or replica of the Emmy® figure in any form of commercial advertising or promotion for their recognition. Awards Presentation: Awards will be presented at the 41st Annual Pacific Southwest Emmy® Awards on Saturday, June 20, 2015 at The Westin Mission Hills Golf Resort & Spa, Palm Springs. Students responsible for the production, as specified on the entry form by the school, will each receive a certificate. A crystal pillar is awarded to the school for excellence in a program or segment produced and executed by students at a university, college or technical/vocational school. 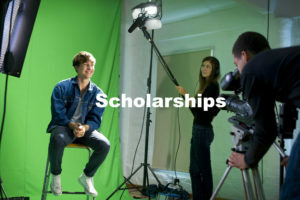 The Pacific Southwest Chapter of NATAS supports students preparing for careers in the industry through its scholarship program, which is open to those in television-related disciplines in area colleges and universities. Since the inception of the Scholarship Program, the Chapter has awarded over $281,000. Interested students should click here. Make a tax-deductible donation now by sending a check made payable to “NATAS PSW Foundation” to P. O. Box 80255, San Diego, CA 92038. NATAS PSW Foundation is a 501(c)3 charitable organization.